Make your upcoming holiday travel a breeze by staying at TownePlace Suites Baltimore BWI Airport before your flight from BWI Airport. The airport hotel includes free parking and shuttle service. LINTHICUM, MD--(Marketwired - Nov 7, 2016) - Holiday travel is no longer a means to an end. At TownePlace Suites Baltimore BWI Airport, travelers can get a head start on their holiday celebrations with shuttle service to the airport, free parking during their trip and a good night's sleep ahead of their flight for an experience that's sure to make them enjoy the journey as much as the destination. Designed to simplify the logistics of holiday travel, the package puts to rest any worries travelers may have about reaching the airport on time. Located just two miles away from BWI Airport, the hotel invites travelers to stay the night ahead of their trip and then enjoy free shuttle service to the terminal the next morning. The rate, which starts at just $89 per night, includes outdoor parking for one car for seven days. 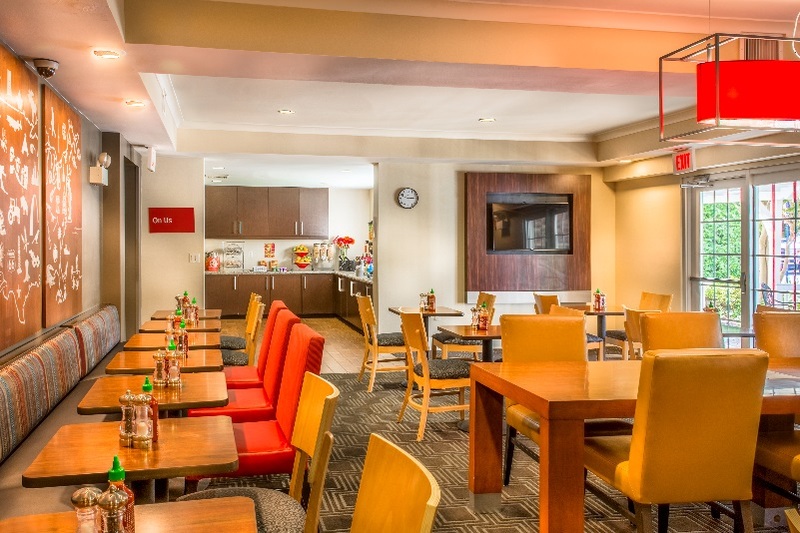 Further distinguishing the property among other BWI Airport hotels is its complimentary daily breakfast buffet, which ensures guests never start the day -- or catch a flight -- on an empty stomach. However, like holiday traditions, everyone's travel plans are different. So for those who find themselves needing a room on the way home after a late flight instead of on the way out, a small deposit enables the hotel to adapt the package accordingly. Or, if guests need to leave behind more than one car for the duration of their trip, a modest $25 fee allows up to two cars to be safely parked. The Park Here Fly There package enables travelers to bypass the stress and traffic of holiday travel to enjoy the spirit of the season, and the hotel adopts the same approach in its daily routine. As Thanksgiving approaches, for example, the hotel serves holiday-themed meals -- including a turkey dinner -- during its evening socials that create an atmosphere of celebration for guests. Its numerous amenities, which range from free parking to full kitchens in the suites and a 24-hour fitness center, make the property a top choice among BWI hotels any time of year. Whether you're coming or going this year, see how the holidays are happier at TownePlace Suites Baltimore BWI Airport! Located less than 10 miles from downtown Baltimore and just moments away from the airport, the TownePlace Suites Baltimore BWI Airport showcases modern comfort and thoughtful amenities. Guests will enjoy a variety of convenient features, including newly remodeled suite accommodations with full kitchens and free Wi-Fi, an on-site fitness center, complimentary bike rentals and a seasonal, outdoor pool. The BWI Airport hotel offers free, daily buffet breakfast, and visitors can unwind in the evening at the outdoor picnic area over a barbecue, or during one of the hosted social hours offered three times a week. Those in town for work can reserve the hotel's 399-sq.-ft. meeting room for an intimate gathering of up to 10 people, while guests looking to see the sights will find themselves near Baltimore's many attractions as well as local attractions like the Maryland Live Casino and Arundel Mills Mall.